WEST VIRGINIA CDL TEST ONE TIME OFFER. 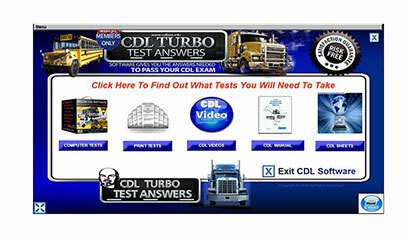 PRINT: You are able to print EVERY one of the West Virginia CDL Tests as well as the separate answer sheet. EACH TEST SEPARATED: We took each West Virginia CDL Test and separated them by endorsement. NO GUESSING on which test you need to take. EACH QUESTION SHUFFLED: Each time you fire up the West Virginia CDL Tests it has been programmed to shuffle the questions. This is the MOST EFFECTIVE way to learn the correct answer. No thanks. 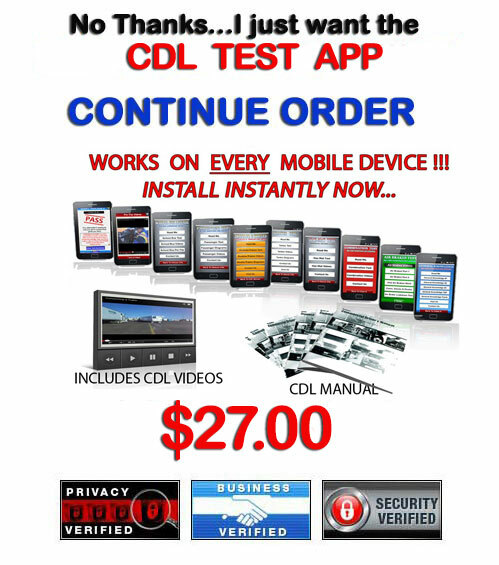 I will pass on this offer and just get the West Virginia CDL Test App that I requested. I know I'll NEVER be given this opportunity ever again and I'm OK with that. I understand that the option to print out the West Virginia CDL Test Questions and Answers is ONLY available in the West Virginia CDL Deluxe Software. I am ready to pass on this offer.